We often run into all sorts of problems through our daily lives, meaning we always need tools to fix anything, anywhere. And that’s why we often need multi-tools, something versatile and portable uniquely blending several tool functions in a single grip. What will you be using it for? Will you get a better quality if you spend more money? Do you need to carry it around in a toolbox or rather in your pocket? Basically, everything to do with value and convenience. 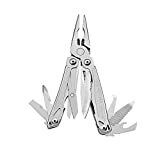 Leatherman being a pioneer of multi-tools and a popular choice for most people, you really need to understand its range of products as you target something that suits your needs. 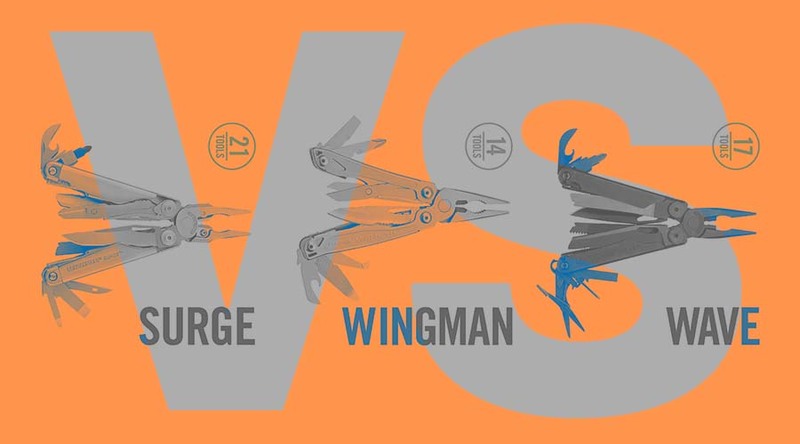 But because choosing between its products can be difficult, I’ve prepared a detailed buying guide with a review to compare the Leatherman Surge vs Wave vs Wingman. Read on to learn more about each tool and how best you can use them. In the spirit of a classic combination of style, adaptability, functionality, and value, the Leatherman Surge Multi-Tool is a truly must-have piece for heavy duty tasks. Similar to their other standard tools, Leatherman has designed the Surge to withstand and hold against some serious and toughest abuse. It features large scissors, heavy-duty pliers, and a couple of strong, replaceable tools that make the Surge an essential item for any handy-person who doesn’t mind a slight extra weight (12.5 ounces) in their pocket or belt loops. A key item for auto mechanics, HVAC technicians, electricians, handypersons and do-it-yourselfers of all skill levels. Well, you can drag around a heavy and burdensome toolbox all over the place, but why would you strain when you can replace just about the entire box with a single multi-tool? The general specifications of Leatherman’s Surge offer a large and sturdy design at a weight of 12.5 ounces (335 g), a closed length of 4.5 inches (11.5 cm), a thickness of 4/5 inches, a primary blade length of 3.1 inches (7.87 cm) and multi-tool set of 21 tools. When it comes to the combination of tools on the Surge, the 21 set of tools includes items for twisting, poking, turning, and cutting all sorts of materials. It’s basically the biggest of the folding plier type. The heavy duty pliers are the most noticeable part of the surge, just like most Leatherman multi-tools. There are both regular and needle-nose pliers (counted twice in the 21-stated tools). The crimper and wire cutter parts of the pliers also count to make 6 of the 21-stated tools. There are ten items that fold out from the main body. Then there are screwdrivers (one Philips and three flat head), two knife blades (razor-sharp but is one serrated), a pair scissors folding out from the handle, an awl (used to enlarge holes on leather and other soft materials), a T-Shank connect with two attachments – a file and a saw with bland exchanger, bit drivers (large and small) a ruler, and bottle/can openers. Away from the multi-tool set and use-ability, the Surge’s frame is made out of an extremely high-performance stainless steel. This is more obvious with the use of 154CM steel on the wire cutters and the 420HC steal used in the knife blades. Overall its strong construction assures you of durability and ability to hold-up against the toughest tasks. You may have owned or used a multi-tool or 2 before but none like this. The Leatherman Wave Multi-Tool is an incredible combination of tools if you’re truly interested in the new generation of multi-tools. 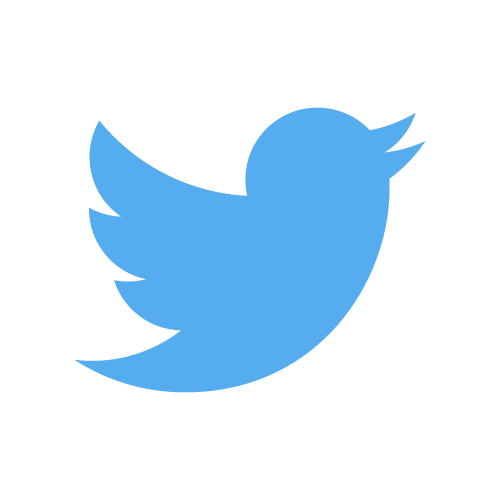 It’s loaded with amazing features and offers several uses for your needs. Most people love its perfect blend of multiple specifications, features, dependability, affordability and price point. The Wave is widely appreciated as one of the few items that deliver on its promises. 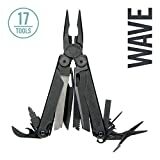 The general specifications of Leatherman’s Wave offer a small yet sturdy design at a weight of 9 ounces (241g), a closed length of 4 inches (10 cm), a thickness of 5/8 inches, a primary blade length of 2.9 inches (7.23 cm) and multi-tool set of 17 tools. A perfect blend of essential tools and convenience in a single grip. When it comes to the multi-tool set, Wave’s most obvious part is the two set of pliers, the needle nose and regular pliers which are used to hold small objects. To make every job gets done it also features Regular-wire cutters perfect for cutting standard gauge wires, hard-wire cutting for hard and larger gauge wire, 8-inch ruler, bottle opener, a saw with an open-tooth design for less clean up and easy manipulation, a file for metal and wood, diamond-coated file for polishing and sharpening hard-steel blades, can opener, spring action pair of scissors, medium sized screwdriver (flathead), and both large and small bit drivers. It’s amazing how Leatherman used its most powerful strength enhancing technologies in the construction of this multi-tool. The hardware and geometry have been designed to handle demanding tasks as the entire structure holds-up pretty well against most tough abuses. For instance, the knife’s blade uses the 420HC stainless steel alloy, which is strong and is easily sharpened. The Leatherman Wave is built of 100% stainless steel, and the handles can handle and withstand extreme loads. It’s also fitted with an internal locking blade, which is designed on an advanced technology letting it rotate with ease and offer access without lumping. Generally, the tools on this modern model can be accessed in both closed and folded position. This means you’ll benefiting from quality craftsmanship and ease of operation if you choose this model. If you’re looking for a great multi-tool able to offer plenty of functionality for whatever situation, then you should learn more about the Leatherman Wingman. A great, light, pocket-sized tool with the ability to handle anything that you may stumble on. With its fairly cheap price and decent quality, the Wingman continues to be most people’s favorite – especially those who prefer quality and comfort. 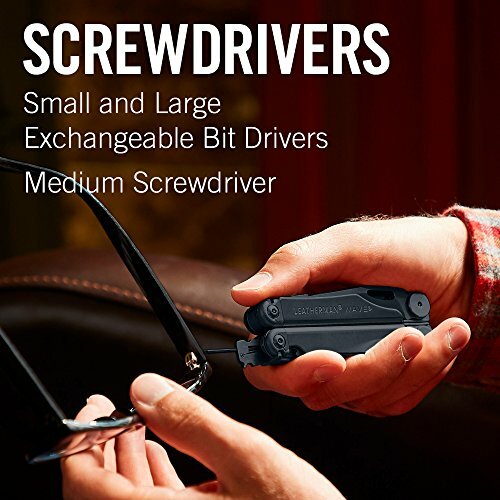 Though the Wingman multi-tool doesn’t have many different tools as other models in Leatherman’s line-up, it still boasts a multi-tool set of 14 tools in this small, foldable, package. 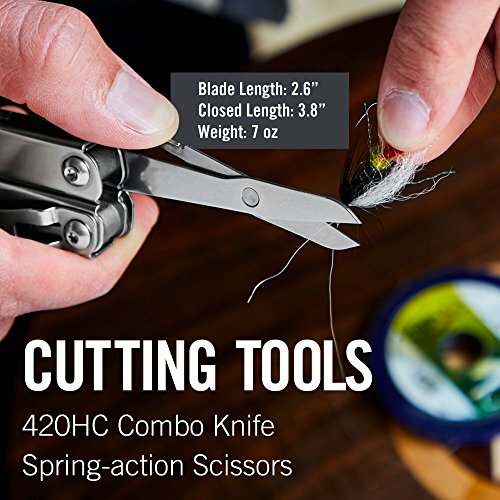 A classic blend of efforts to create a compact, convenient, durable and cost-effective tool that enables do-it-yourselfer and craftsmen to perform at higher levels. Leatherman Wingman’s general specifications offer light and sturdy design at a weight of 7 ounces (198.4g), a closed length of 3.8 inches (9.7 cm), a thickness of 0.69 inches, a primary blade length of 2.6 inches (6.6 cm) and the multi-tool set of 14 tools. The Wingman set of multi-tools include: the expected two sets of pliers (spring action needle-nose pliers and regular pliers), wire strippers, spring-action wire cutters, spring-action scissors, bottle opener, can opener, small and medium-sized screwdriver, a file for metal and wood, a 1.8-inch ruler, package opener, and 420HC Combo knife. This makes it a convenient tool for an average individual and accomplished handymen to handle minor repairs and occasional craft jobs. It also has some unique feature that makes it great multi-tool. First, the hybrid saw/knife blade is effective and sharp. 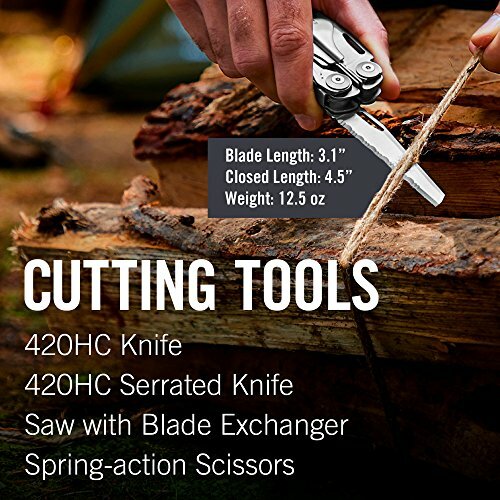 Though you may not use it to cut big items, the hybrid blade is decent enough for most small tasks you’ll come upon around the house and in the bush. The pliers are also excellent as it can be used to handle just about everything without sacrificing the build quality. The handle’s spring-loading is also a plus. Another unique piece that you may never find on other multi-tool is the plastic clamshell package opener, a sharp hook designed to allow you access packages – especially those difficult-to-open clamshell packaging. For durability and enough strength to handle most tasks, Wingman tools are constructed out of high-strength stainless steel. The 420HC stainless steel makes sure you the lightweight feel while maintaining the quality and durability. Surge: A primary blade length of 3.1 inches (7.87 cm). Wave: A primary blade length of 2.9 inches (7.23 cm). Wingman: a primary blade length of 2.6 inches (6.6 cm). Surge: heavy duty pliers are the most noticeable part of the surge, regular and needle-nose pliers (counted twice in the 21-stated tools). The crimper and wire cutter parts of the pliers also count to make 6 of the 21-stated tools. Wingman: two sets of pliers (spring action needle-nose pliers and regular pliers), wire strippers, spring-action wire cutters, spring-action scissors, bottle opener, can opener, small and medium-sized screwdriver, a file for metal and wood, a 1.8-inch ruler, plastic clamshell package opener, and a 420HC Combo knife. Surge: 154CM and 420 HC steel. Wave: 420HC stainless steel alloy. The idea behind multi-tools is not of a modern consideration since their history can be traced back to 201-300 AD when the Roman Empire started combining different tools into a single package. This was aimed at giving roman soldiers tools in a portable format for convenience in the field. But it wasn’t until World War II that multi-tools gained worldwide popularity. Swiss Army Knife became the most popular brand as it was primarily responsible for this explosion of popularity. The “knife” went ahead to become a common item carried around by soldiers, artisans, and outdoorsmen since it was pocket-sized, versatile and very useful. Fast forward to 1980, a young engineer, Tim Leatherman came up with the idea of a pair of pliers that you could easily carry in your pocket. Years later, his comprehensive pocket-sized tool hit the market and the Leatherman brand went on to become the real pioneer of multi-tools and the most popular brand in the present day. Today they have several models of multi-tools for different works. Though there are other brands that bring different engineering and design ideas towards creating highly functional multi-tools, Leatherman still tops the league for their innovative touch that has kept them ahead of their competitors for decades. When it comes to choosing the right multi-tools, here are a few things you’ll need keep in mind. Portability – How Will You Carry It? The first rule when buying a multi-tool is finding one that serves you right in an emergency. This means it should be pocket-sized or pre-equipped with pocket clips or hooks to attach to a keychain or belt loop. Others are designed to fit in the toolbox and backpacks, and still offer extra solutions for carrying more items. A multi-tool is only as good as your willingness and ability to carry it. It’s always about how it’s going to best fit into your life. Luckily, you’ve got a couple of options. These are pocket-sized but are bigger and heavier. They are designed to fit in your pants’ pockets, backpack, purse, messenger bags, and briefcase. 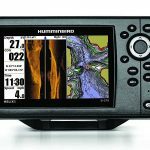 The idea behind these larger, pocket-sized designs is to give you a manageable size and the capability of having larger toolsets for heavier duties. These are often smaller, and you can carry them along with your keys absolutely everywhere. They are lighter and can be carried around with the keys without adding excess weight to the bunch. The idea behind its design is to offer universal portability and versatility. These are heaviest and biggest than most multi-tools. Though you’ll mostly carry them around your waist, they can also fit in your toolbox. They feature full-size tools, making them pocket-friendly equivalents and strong enough for heavy duty works. 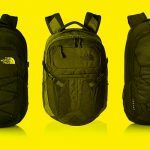 These are the most versatile option because they can be clipped onto belt loops, keys, a bike, a bag and virtually everything that can comfortably accommodate it. Another primary factor to take into consideration is its purpose – what will you be using it for? Once you’ve figured out why you need the multi-tool, you’ll have to consider its functionality and certain special features. Speaking of functionality and special features, each multi-tool comes with its own configuration and strength that will fit specific applications. You’ll need to understand the functionalities that every tool offers, weigh their significance in line with your needs, and figure out what will work best for you. For example, if you’re getting a multi-tool for camping, you’ll need something with pliers, knife, screwdrivers, scissors, and bottle openers. A tool’s level of convenience (portability and versatility) depends on its design. This comes down to something you can comfortably grip and most importantly fits in the palm of your hand. It shouldn’t be too small that you can’t get enough leverage on tougher tasks or too big that you’re unable to grasp it comfortably. This means you should choose the right size that fits your hands perfectly. Besides, you need to avoid multi-tools that jam-pack many tools in their design because this often makes the tool hard to handle. The basic concept behind the idea of the multi-tool is preparation and adaptability. 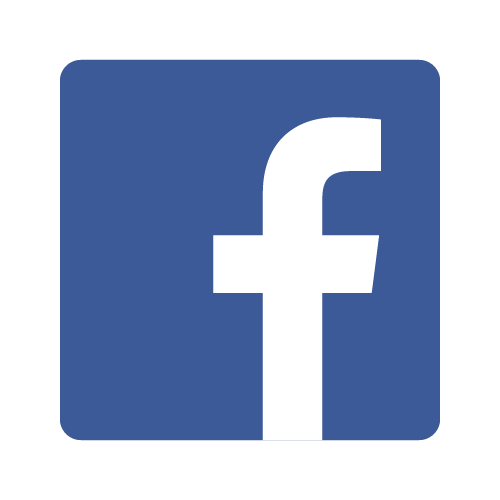 They are incredible for their ability to offer several simple and effective solutions to daily problems. Most come with several functions and can be used in unfamiliar ways, if only you’ve got creative imaginations. Though they may not have the right structure to make them the best tools for complex works, the can fully handle the common small jobs – like tightening and loosening screws, opening bottles, measuring something, scoring marks on surfaces, prying or cutting different items, and more. As long as they are used correctly, they will prove very useful. You might not always need a bottle opener, a hex driver, a pry bar, a rule, or whatever other tools your multi-tool offers. But you’ll be glad how convenient they may be if you stumble across a stray thread, unopened bottle or a loose screw. 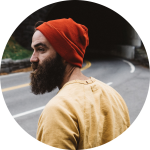 They are much more accessible and a quick way to handle everyday problems – rather than putting everything on hold to find your toolbox. An ideal multi-tool should be designed in such way that it saves from the frustrations. Your tool’s strength and longevity largely depend on the type and quality of material used to construct it. A good material should be able to hold-up against the toughest use and last for the longest time possible. Besides, you should find a tool that keeps every part active – moving parts should move freely and rest when twisted to right angles. Nothing should feel loose or too tight. Since corrosion is another thing to worry about, make sure the material out of which the multi-tool is constructed is resistant to corrosion and keeps the tools working smoothly through its life pan. Most Leatherman tools are constructed from highly stainless steel, hence corrosion shouldn’t much of a concern. Away from the tools, the aforementioned factors, and features, you’ll have to make sure that whatever option you’re going for is within your budget and the company offers sufficient warranty. Leatherman is one company that stands behind its products, besides assuring its customers of high-quality items. With these ideas in mind, let’s get back to comparing the Leatherman Surge vs Wave vs Wingman. Which one is best? It’s evident that all these tools are good enough for handling most tasks and their build quality is amazing too. And by utilizing today’s high tech engineering, Leatherman has managed to build a reputation that has seen them remain at the top. 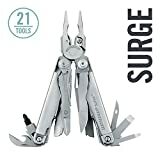 Overall I really like the Leatherman Surge for what it is – a full-sized model, 21 tools, reliable functionality and incredible adaptability. Though you’ll need to spend more to get the Surge, whatever features and benefits you get from it is truly worth the investment. Remember, the best multi-tool for you is not necessarily ideal for someone else. Photo by Leatherman, Modified by Author.